Anne Santoro is finishing up her junior year in high school, in her new home town in Upstate New York. She is reminded of a tale she was told as a child of the witch’s house. The house was on the road she and her family took to get to the beach. She and her best friend Colleen McFadden decide to visit Smithtown, NY, where Anne grew up, to see if the witch’s house is still there. Anne has kept parts of her life on Long Island to herself and faces painful moments when she returns. How will her best friend react? As a child, Anne anticipated seeing this house with every trip to the beach. Is it still there? The quest becomes more than just finding the house. It becomes a search to find a young Native American Indian girl who disappeared over 100 years ago. Finding clues to solve this century’s old mystery is tough enough, but when deciphering a ghost’s way of communicating, tough takes on a whole new meaning. What will Anne and Colleen discover? Follow them on their hunt to find the Witch’s House and see if they uncover the answers they’re looking for. The Road to Long Beach and the Witch’s House is a story of mystery and suspense. The adventure brings to light the weight of being bullied and how passing judgment on others can last through centuries of time. 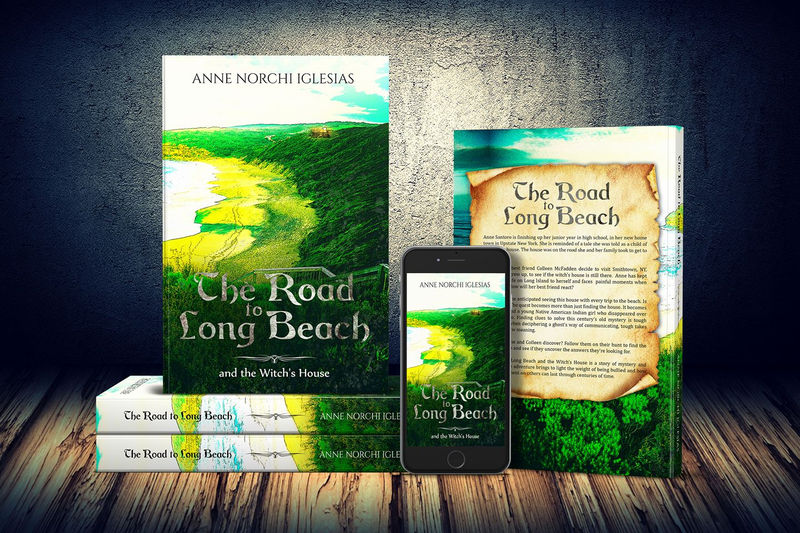 The debut novel from Anne Norchi-Iglesias, The Road to Long Beach and the Witch’s House, is set to be released on September 2nd. I spent a little bit of time chatting with her about the book and what inspired her to write it. What was your inspiration for this story? I saw a video on Facebook that said, “You know you’re from Smithtown (NY) if this is the road you took to get to Long Beach.” It brought back great childhood memories, because that is where I grew up and that was the road we took to get to Long Beach. It reminded me of the tale my sister told me at a very young age, like maybe 4 or 5, about the witch’s house. It was a crumbled down house that sat up on a hill in the woods. It intrigued me, even at that young age, and I would always ask, “Did I miss the witch’s house?” While watching this video, I wondered if the house was still there (41 years later, lol). Then I thought, “Wow, that would make a really good book title: The Road to Long Beach and The Witch’s House.” The thoughts and ideas started to stream into my mind and I decided I was going to write a story about it. I see you have some paranormal elements in your book. Do you believe in ghosts? I do! The spirit world has been an interest of mine for quite a while. I love cemeteries, metaphysics, ghosts and paranormal phenomena. A few of my children are sensitive to energies and spirits. In one house, they used to tell me things, little things, like footsteps and things moving, but I brushed it off a little, because I didn’t know how to handle it. Then in another house, a Victorian home that was over 100 years old, there was a lot of activity. We had a picture of a little girl in my daughter’s closet, another daughter saw apparitions, and we all heard unexplained noises. There were other things, and on occasion I would ask the spirit(s) to stop because they were making us uncomfortable. The activity would stop. We had an investigative team come in, and they had some voice and noise recordings. From your Facebook page, I see that you’ve taken a lot of elements out of your real life and incorporated them into the story. Do you think that made it easier or harder to write? In many ways, it made it easier. I loved finding ways to fit in snippets, like birth dates, names, remembrances. One I have not mentioned is a tribute to my bus driver’s daughter Rene. I named the bus driver in my book Rene, as a remembrance because she was a sweet girl and unfortunately committed suicide. I felt strongly about giving her a presence. Wow, that’s hard. 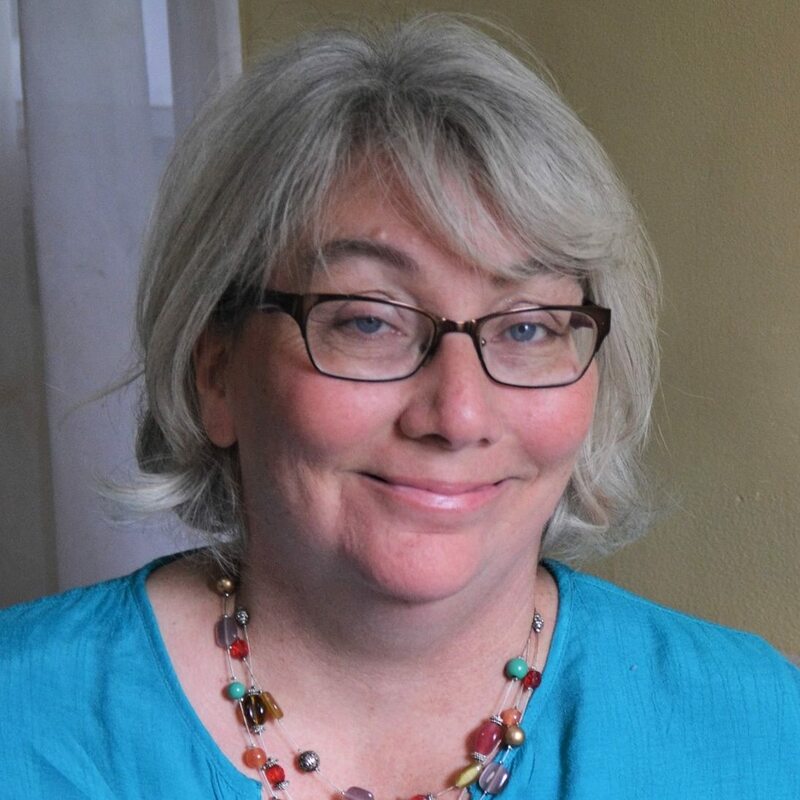 I have a favorite from each time period of my life: Harold and the Purple Crayon, Dr. Seuss’ Are You My Mother?, Pippi Longstocking books, A Tree Grows in Brooklyn, and as an adult, Colin Powell’s autobiography My American Journey. As an adult, I didn’t read often, as I have five children and life was busy and hectic. Where’s your favorite place to write? What’s your writing process like? I wish it were at my roll top desk that is in a little bay window nook, looking out to my back yard. Reality is, I sit at the kitchen table, the living room couch so I can be with family, and most often, in bed. I have Fibromyalgia, and I am more comfortable in bed by early afternoon. I start off mind dumping the basics of the story. I don’t pay attention to anything proper, just getting my thoughts out. Then I break it up into short chapter summaries so I can see how the story will move from beginning, to the middle, and to the end. Then I write. The chapter summaries are just guidelines so I don’t digress. Somewhere in the mix, I write up the character’s personality traits. Once I start to write, the story and characters take on a life of their own. I often visualize myself in the scene as any one of the characters and ask myself (based on the character’s traits), what would I do or say. I have a goal to write 500 words per day minimum no matter how bad it is. Often, it is much more than that. Both 😊 Reading takes a large amount of energy for me, so I save my reading for bedtime and read with a Kindle Fire. However, I LOVE books. I love the feel, the smell, the graphics, the fonts. Everything about them. Occasionally, I’ll take a book out of the library (one of my favorite places) because I enjoy reading an actual book. When I was very little, before I could even write words, I would sit at my little brown desk in our den and scribble write on paper, then staple the pages together to make a book. As a teen, I wrote poetry and short stories. As an adult, I wrote short family stories. The thought of writing an actual book has been on my mind since my late 20’s, but I didn’t know what to write about. Now I have about ten ideas in the waiting. Yes, there are about ten ideas. Starting in September, I will be working on three pieces. The Gravestone That Calls Your Name, 13 Eerie Tales, and a play based on a local legend in Berlin, NY, The One Week Bride. It will be published as an ebook on September 2, and it will be available on Amazon.com. People can follow my Facebook page to keep posted on details and the Amazon link when it becomes available. How can everyone reach you?